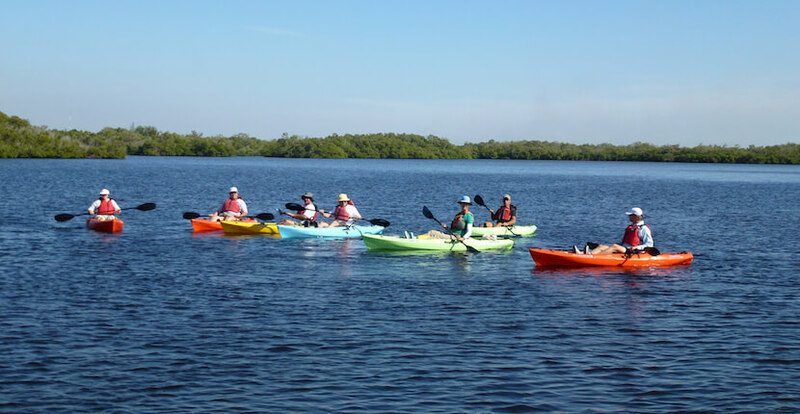 Whether at the indoor exhibits, along the nature trails, or on the water kayaking, you’ll love Rookery Bay. 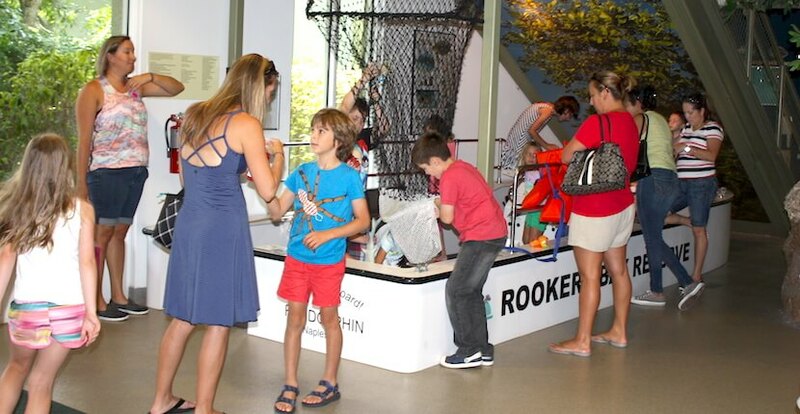 Kids can enjoy the hands-on fun as they learn about marine critters at the touch tank and take the helm of a replica research boat at the Rookery Bay Environmental Learning Center in Naples, Florida. The two-story Environmental Learning Center features a 2,300-gallon main aquarium with a pop-out bubble into which kids can sit and be surrounded by fishing swimming by. 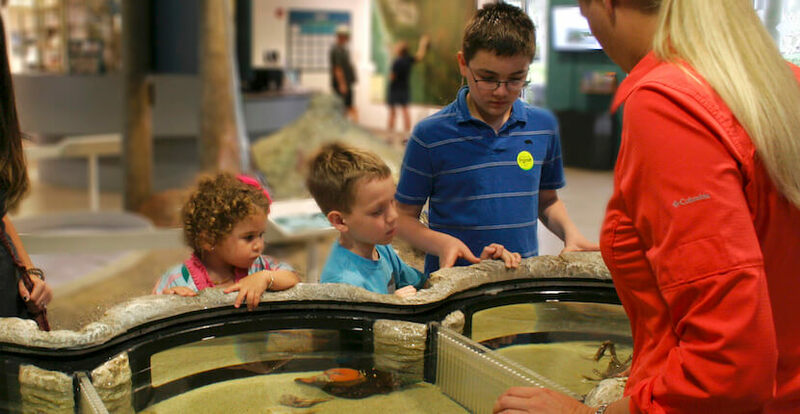 Side aquariums feature local marine species, and interactive exhibits explain the cultural history and efforts underway by staff to protect and preserve the 110,000-acre Rookery Bay National Estuarine Research Reserve. 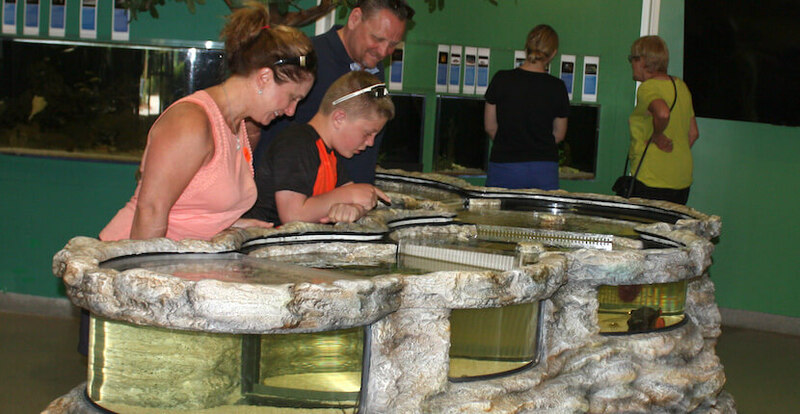 Rookery Bay Environmental Learning Center’s new 180-gallon Estuary Encounter marine life exhibit is a hands-on, interpretive tank designed to look and feel like Rookery Bay Reserve’s natural environment. This Florida Gulf Coast themed tank includes view-through windows along the side, adding opportunities for guests to observe the exhibit from different angles. 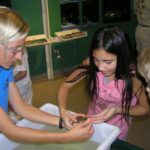 Both children and adults will enjoy an opportunity for self-guided engagement and observation with the display’s diversity of species including pygmy sea cucumber, horseshoe crab, and lightning whelk. Docent-led programs are also scheduled throughout the day. 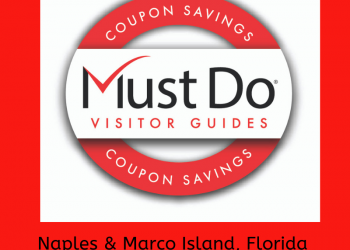 Save on your visit to Rookery Bay Environmental Learning Center – save and PRINT coupons below! 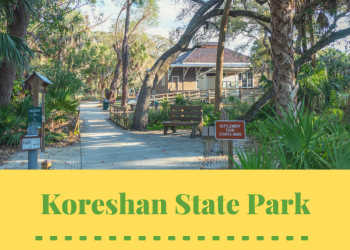 The center’s 1½ miles of easy walking paths (accessible to strollers) meander along mangroves and pine flatwoods, with observation platforms over Henderson Creek (where you may see sharks, manatees…and boaters going by). Kayak and boat tours (ages 12+) are offered November – April. 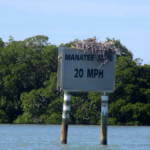 Read Rookery Bay Environmental Learning Center’s featured blog article. 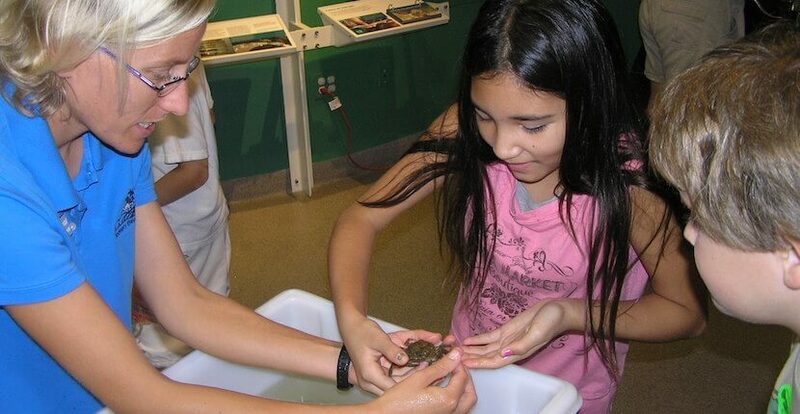 Families will thoroughly enjoy learning about environmental science and the natural world through fun hands-on experiences with marine-life touch tanks, exhibit, and scientific displays. Science Saturdays take place from 9 a.m. to 4 p.m. October through April. Every Friday from mid-June to early August the “Kids Free Fridays” summer program provides free admission for children 12 and younger with a paid adult. A ratio of no more than 3 kids per adult is recommended to ensure a safe and pleasurable experience. Pre-registration is not required. Weekly topics including sharks, manatees, sea turtles, and birds. Program activities include story time, naturalist lecture, craft room, face painting, and more. The aquariums, marine life touch tank, interactive exhibits, trails, and art gallery will be open. A food truck will be on-site from 11 a.m. to 1 p.m.
Paddle through the magnificent mangrove tunnels and shallows of Rookery Bay on a two-hour guided kayak tour while learning about the area from an experienced Rookery Bay guide and naturalist. Tours are offered from November through May. Registration is required. Prior experience is not required but paddlers must be a minimum of 12 years of age. A relaxing boat tour led by reserve staff of Rookery Bay offers an up-close and intimate experience with an emphasis on learning and is designed to help visitors develop an understanding of this unique coastal environment. Five different tours are offered, each with a different theme and a maximum of six passengers per boat. Each tour provides a chance to see a wide array of native wildlife and offer a comfortable platform for photography. 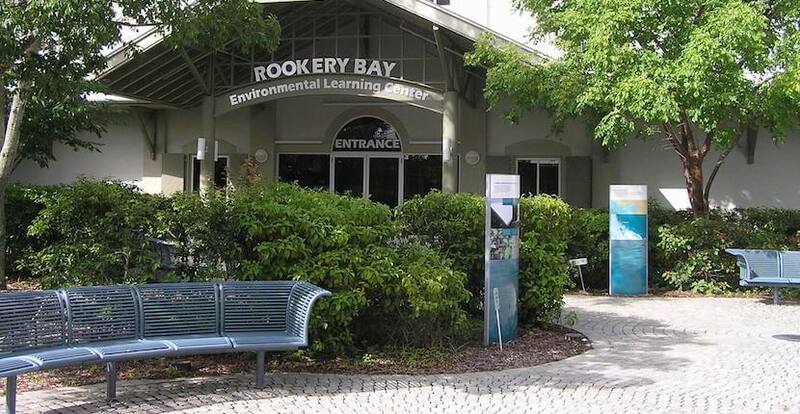 Tours include free admission to Rookery Bay Environmental Learning Center on the day of the trip with proceeds supporting the non-profit Friends of Rookery Bay, Inc. Naturalist guided Rookery Bay boat tours are offered from November through April. Registration is required. 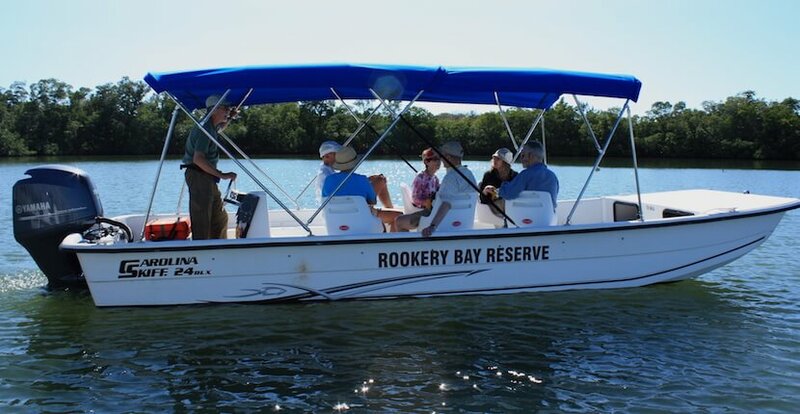 Read the featured blog article about Rookery Bay’s boat tours here! Support Rookery Bay by visiting the Palmetto Patch Nature Store to purchase books, shirts, 4M Science toys and kits, tote bags, souvenirs, and more. Rookery Bay Environmental Learning Center is a proud participant of the Blue Star Museums program, which offers free admission to active-duty military personnel, including National Guard and their families from Memorial Day through Labor Day. Parking is free at Rookery Bay Environmental Learning Center. Rookery Bay Environmental Learning Center is open Saturdays from 9 a.m. to 4 p.m. November through April. 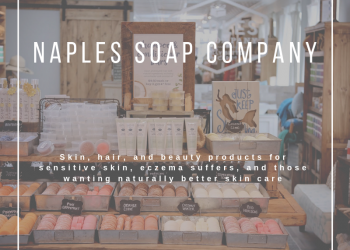 Present this coupon to receive 10% off your purchase in the Palmetto Patch Nature Store.